As one of the 9000+ users of the Health Evidence™ database in the last month, I wanted to share my experience related to the database with others who might be interested in looking into public-health interventions for work, school, or personal interest. How is Health Evidence™ funded? Health Evidence™ is funded by a number of supporters including the Canadian Institutes for Health Research, the Public Health Agency of Canada, and the National Collaborating Centres for Public Health. The Health Evidence™ registry of reviews first launched in 2005 and has since become a database hosting over 4000 systematic reviews that evaluate the effectiveness of public health interventions. With an aim to ensure all public health professionals have free, quick, and easy access to the latest research evidence, Health Evidence tailors monthly emails to registered users’ interest so that they receive links to new reviews that are most relevant to them. The Health Evidence team recognizes that having access to relevant evidence is only one step in making evidence-informed decisions, and therefore also provides summaries of the reviews contained within it that highlight implications for public health policy and practice. All articles contained within the database are assessed for relevance to public health in general, and to disease prevention and health promotion in particular, and are also appraised for methodological quality. Additionally, Health Evidence provides links to the full-text for all articles contained within the Cochrane Database of Systematic Reviews as well as those that are published in open-access journals. The Health Evidence™ registry is free to use, and only requires a quick registration process. Additionally, the process allows Health Evidence to tailor the user’s experience and make the process of accessing, interpreting, and applying evidence as efficient as possible. Health Evidence™ is a comprehensive tool to identify evaluations of public-health interventions for both decision-makers and students working in public health. The database can be helpful in identifying the types of public-health interventions that exist and their effectiveness. The focus of interventions included in the database is primarily on disease prevention, health protection, and health promotion. Given the broad scope of reviews included, many public-health professionals might find the service valuable in facilitating a holistic understanding of the available research evidence in their specific public-health interests. 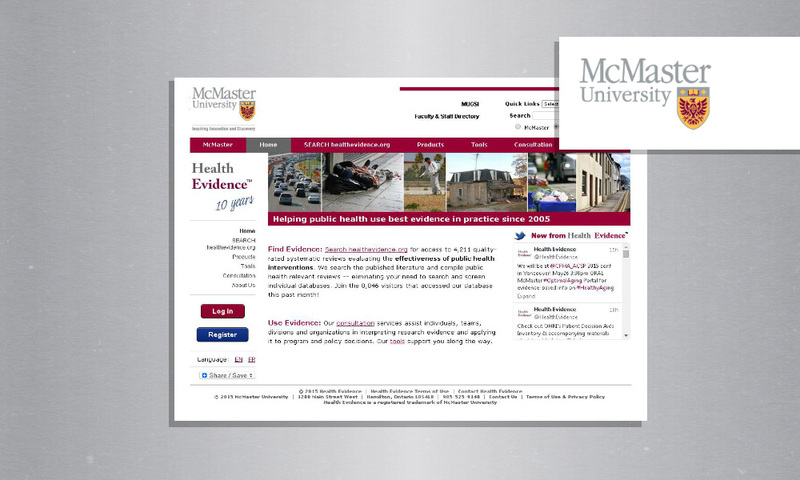 As an undergraduate student, Health Evidence™ has been a particularly effective resource in courses and independent projects to identify key literature and to develop insight into the scope of evidence on a topic or intervention area. By having the ability to efficiently survey a wide body of literature, it becomes easy to move on to using the advanced search function to narrow down a search (e.g., by population or by setting) to identify the most relevant research evidence related to a topic being addressed in a project. Overall, the tool is very easy to use for those who are using it either as a entry point to further their inquiry in an area (e.g., students learning about a new area of public health), or for those who have more specific interests and can use it to conduct targeted searches (e.g., decision-makers in public health addressing a very specific issue). With a very clean and user-friendly interface, access to prepared summaries, and having the option of email updates with reviews addressing one’s interests, Health Evidence™ offers a corpus of material that can be accessed and navigated for your purposes within just minutes. Health Evidence™ focuses on keeping public health professionals informed and up-to-date on the best available evidence surrounding public health interventions. The database is great for users of any proficiency in searching literature. The registry has a Search Tips page offering advice for developing and revising a search strategy, and there’s the option to use the basic search box or make use of the advanced search to really narrow your results. The advanced search is a strong asset in that it allows you to limit your search using various categories including population, intervention delivery method, and setting (as a note, only five search terms are allowed, which could be restricting for some users). Further, once search results have been obtained and are ready to be saved, they are automatically exported in a .txt format, conveniently allowing users to directly import citations into citation management software. Additionally, the search results page offers the benefit of allowing users to save both the conducted search and the article results, enabling researchers to quickly revisit their queries and the results. 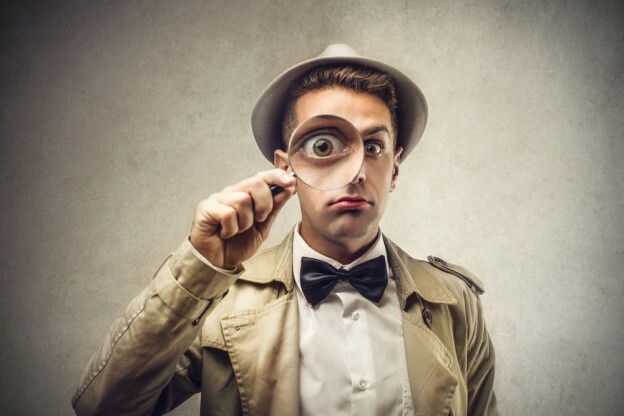 it’s a bonus that the search strategy and appraisal tools used by the Health Evidence™ team to build the registry are readily available, allowing for transparency in their process, and eliminating the possibility that a user unnecessarily searches a bibliographic database multiple times.